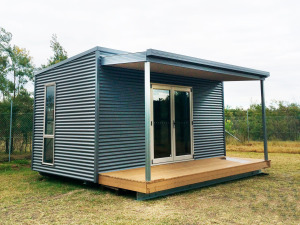 The perfect addition to your backyard pod is our basic deck and veranda kits, flat-packed for easy shipping and on-site assembly. Everything you need is included except for your choice of deck surfacing material (select your own timber decking, eco-wood decking, etc). Illustrated examples are based on basic pod kit 3.6m-wide but kits will suit pods of any width.